Our next gift card up for a grabs is a $100 one from Starbucks. Open worldwide, you have through 6/1 to enter. Good luck. Rules: Use the Rafflecopter form to enter daily. 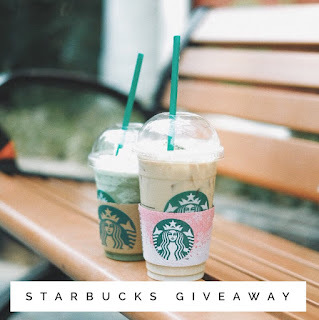 Giveaway ends 6/1 and is open worldwide. Winner will be notified via email. Checking. Thanks for heads up. If I do a search in Instagram of her name, then her Instagram page comes up. Thanks!